Depending on design complexity, memory allocation or a host of other issues, a number of approaches simply can run out of steam. Verification efficiency and speed can vary significantly from one design to the next, and that variability is rising alongside growing design complexity. The result is a new level of unpredictability about how much it will cost to complete the verification process, whether it will meet narrow market windows, and whether quality will be traded off to get a chip out on time in the hopes that it can be fixed after tape-out with software patches. Even in the best of cases, verification is never completely done. But there are a number of factors that can bog down the verification process. Among them are an increasing number of requirements, some of which are poorly defined, which makes it difficult to provide closure. And in many cases, schedules are becoming unrealistic, and interactions between design and verification teams are not always well thought out. That’s not so simple, though. Despite an industry-wide effort to shift verification left, the logistics alone are extremely complex. It requires new levels of planning at the system-level, rethinking of methodologies and flows, and a much deeper understanding of what can go wrong across multiple different groups. Frank Schirrmeister, senior group director for product management in the System & Verification Group at Cadence, pointed to two main axes for verification—speed and completeness. Speed is obvious to design teams. Completeness, on the other hand, may not be apparent until months or years after a chip has been taped out. But both are potential breaking points. Speed is becoming problematic because even with smaller designs and larger capacity, more elements need to be simulated. Throw in mixed-signal circuitry and functionality and the execution time rises significantly. 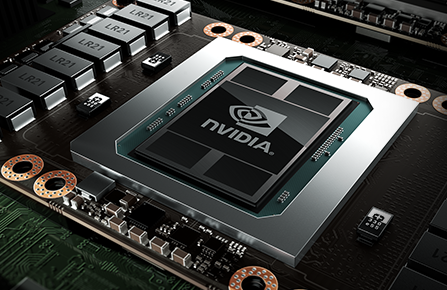 Emulation and parallel simulation add necessary capacity, and FPGA-based prototyping adds speed when those cannot keep up. But the bigger problem may be figuring out when to sign off on verification, because it’s impossible to check everything in a complex device. 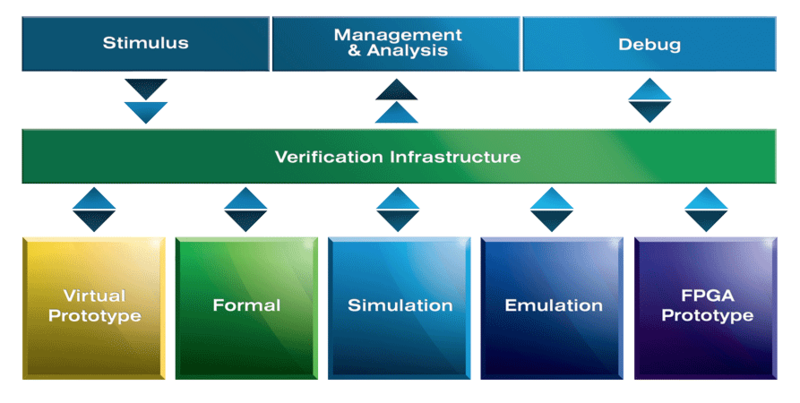 Verification always has been the most time-consuming and expensive part of chip design. But even with faster tools and more capacity, time to sign-off isn’t shrinking noticeably, particularly at advanced nodes with complex designs. 1. Detailed specifications are not available or too ambiguous. Interpretations of RTL engineers and verification engineers can vary widely, which causes a lot of thrashing. Detailed specifications are required, and they must be kept up-to-date during the lifecycle of a project. 3. Designs don’t have well-defined interfaces. There is not enough visibility into the design to for verification to plug into. This can cause debug failures and can lead to a blind spot where a verification engineer is not confident that all cases have been exercised. Not all of this can be determined prior to verification, though. There are always new requirements that are added during the verification cycle. Dealing with them becomes more difficult because not all of the results from one verification technology are available to another. And it’s far worse in markets where safety is involved, such as automotive, industrial and medical. One of the less-obvious casualties of complexity is that valuable information gets lost. That can slow down the verification process in unexpected ways. There are a number of ways to reduce time to sign-off. ArterisIP’s Gandhi said it’s critical that specifications are clear and that verification testbenches are developed alongside RTL so bring-up of both is done together in a tightly coupled loop. NetSpeed’s Ramanujam noted that one of the key missing pieces in a number of projects is a detailed understanding of the functional dependencies between various IP components that are included in a design. All of this adds to delays and costs money. The design industry has been battling growing verification time and complexity for years. This is hardly a new problem. In the past the focus was on getting the job done in less or equal time at each new rev of Moore’s Law. But as more functionality continues to be added into designs—from multiple power domains that need to be switched on and off to a variety of features in a device that support a growing list of I/O protocols and specifications—it is becoming more difficult to be satisfied that a design has been fully verified within a tight market window and at a reasonable cost. As an expert in simulation I can say that tools based on Verilog are just too long in the tooth, as is RTL as a design methodology. Mixed signal simulation isn’t necessarily slower, but doesn’t seem to be available (it’s not the same as fast-spice), and begs the question: what does a Verilog simulation actually verify – it’s certainly not power and timing when you use DVFS or body-biasing. Emulation certainly doesn’t cover any mixed-signal issues either. We could have moved on to software methodologies like CSP years ago for doing design in general – https://en.wikipedia.org/wiki/Communicating_sequential_processes – but which of the EDA companies really wants to make your life easier? You bring up some excellent issues, Kev. Let me look into this further and post back here when I find out.